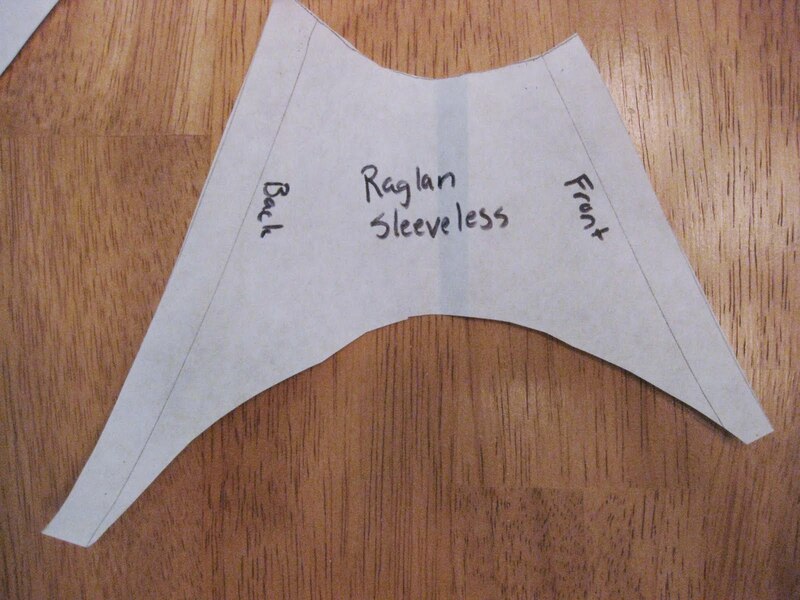 This tutorial is going to cover how to make a raglan style muscle t-shirt from a basic t-shirt pattern, and then I’ll show you how to sew that shirt. This is the same way I made the Squirrel T-Shirt. 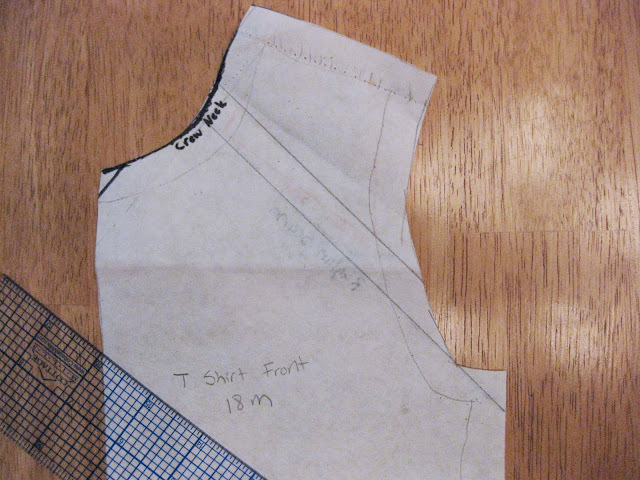 If you don’t already have a t-shirt pattern, visit this Post. Go ahead, I’ll wait until you get back. Repeat this on the back piece. Notice that this is not a symmetrical piece. That’s OK, all is as it should be. However, you will probably want to label which side should be sewn to the front and which side should be sewn to the back. 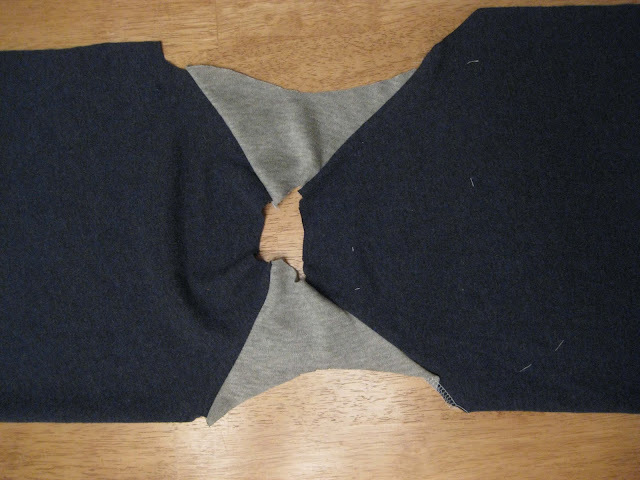 On your front and back pieces, you should fold down along the topmost raglan line. You could cut the paper, but why mess up a perfectly usable regular t-shirt pattern? If you fold, you have 2 patterns in one. Now you should have 3 pieces that look like this, and you’re ready to cut your fabric. 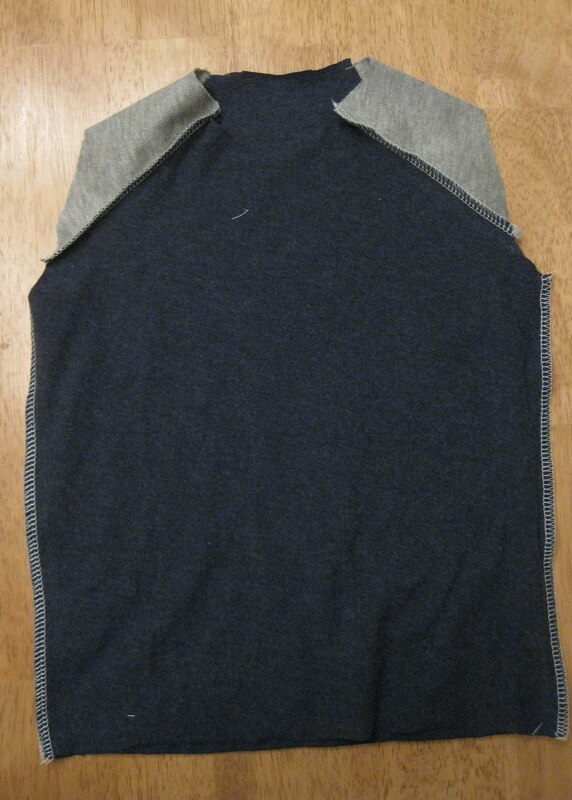 Notice that a small portion of the armhole curve remains at the bottom on the front and back pieces under the raglan seam. This is also as it should be. 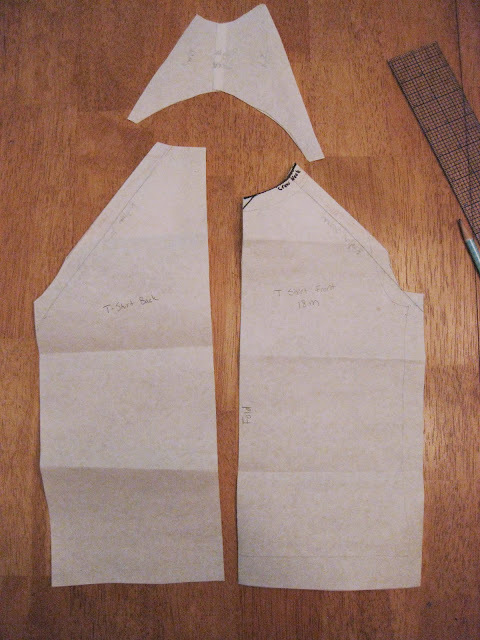 When you cut out your fabric, you will put the front and back on a main color, and cut the sleeve on a contrasting color. You will also cut your applique out of the contrasting color, and in addition you will need 2 inch wide strips of the contrasting color to make the binding for the neck and armholes. 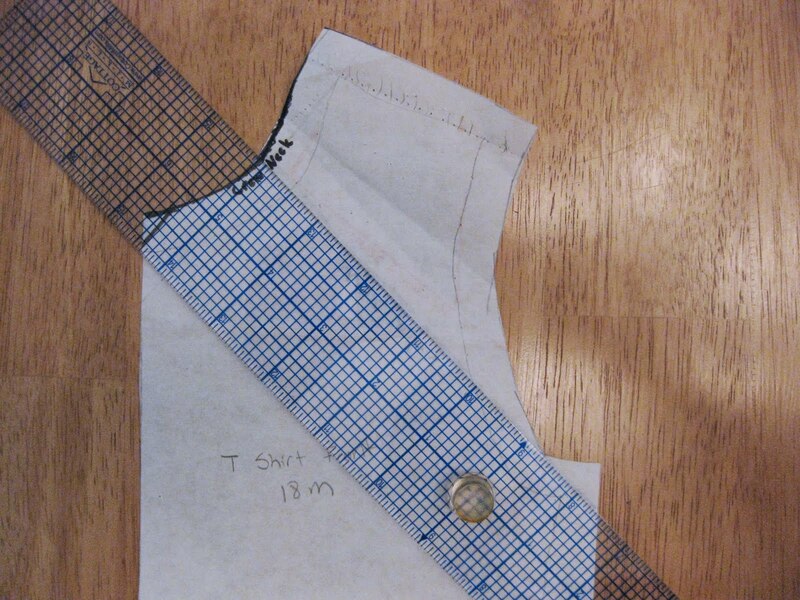 For now these should be the same length as the neck and armhole edges including seam allowances on the pattern. 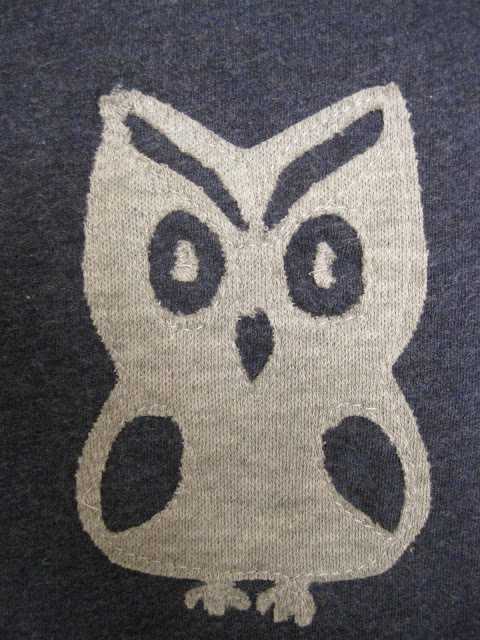 Melissa from Sew Like My Mom has a great tutorial on how to do appliques here. 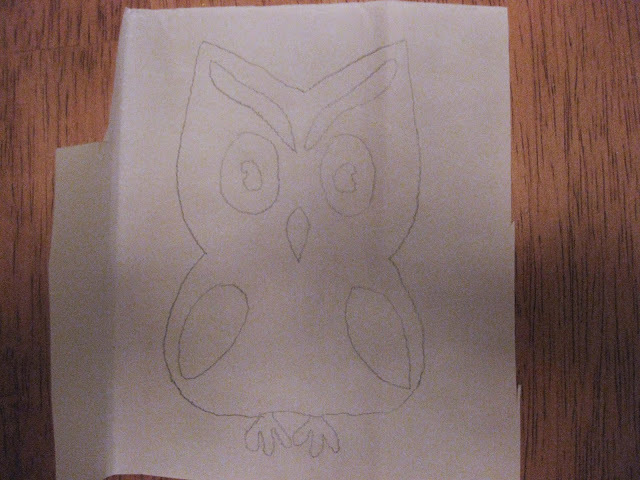 One tip I have – when tracing the picture onto the Heat and Bond, I use my laptop screen as a lightbox. You’re probably not supposed to do that, but I just tread lightly with my pencil. 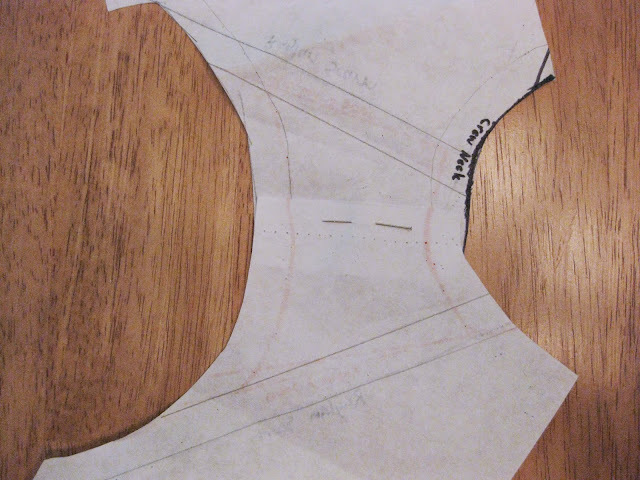 When you get to the binding, follow this tutorial from Naomi at Omi Creates. 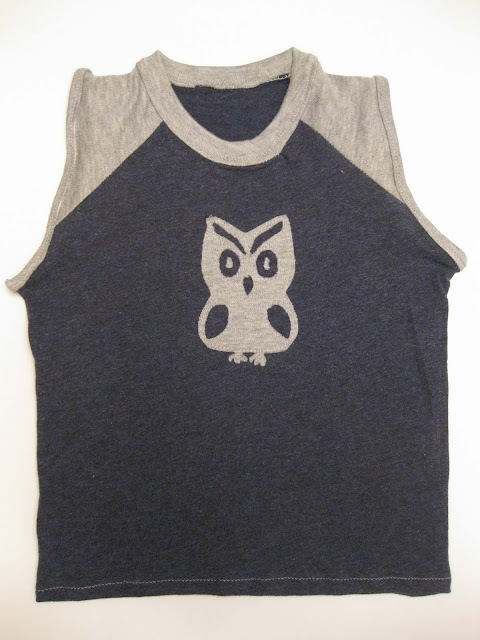 Once you do the arm and sleeve bands, you’ll have your shirt. 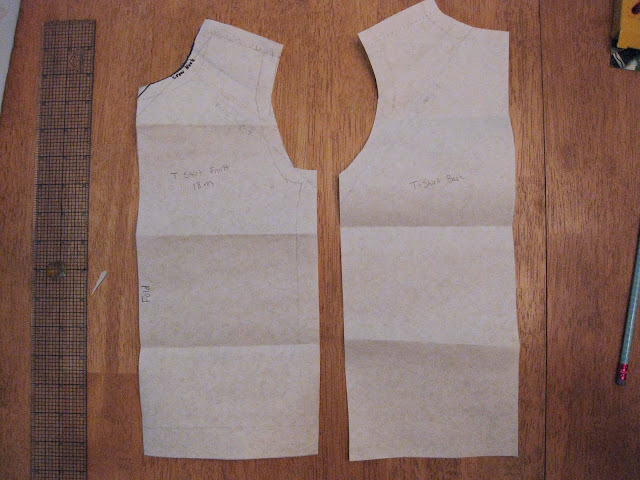 I did about a 3/4″ fold showing for the neck, and I did very narrow binding (basically the width of my serged edges) on the arms. 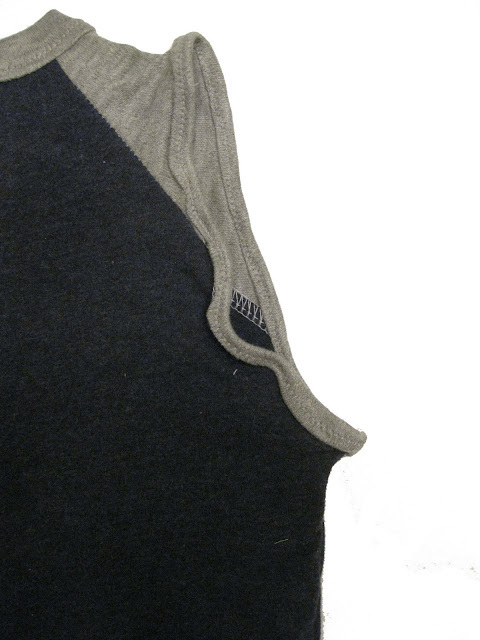 You can either fold up the hem and finish it or leave it unfinished; that’s the great part about knits. Adorable! You did a great job. 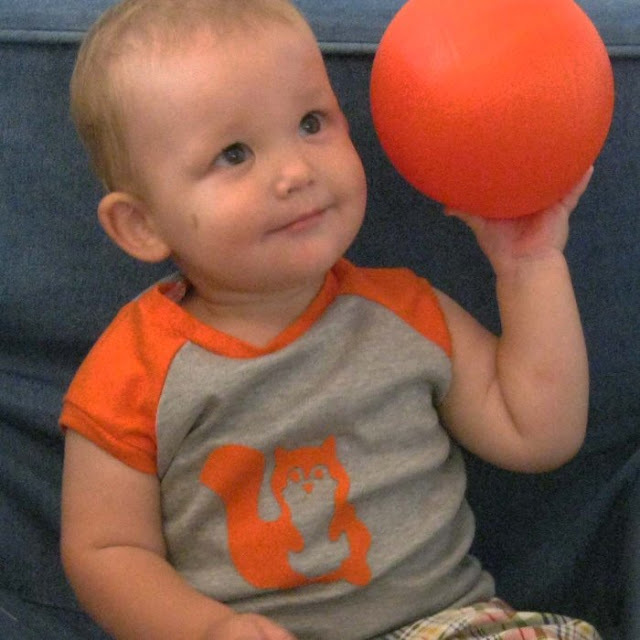 That squirrel one looks so cute on your little guy!